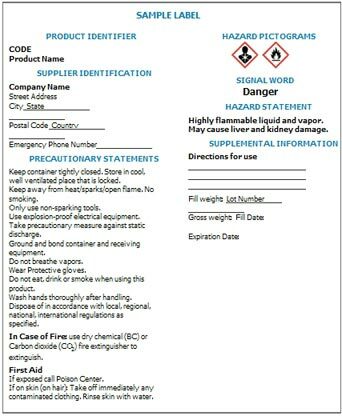 While most US-based companies in the chemicals industry use the OSHA 8-header standard format for their Safety Data Sheets (SDS), some may maintain their SDS in the traditional ANSI format. This standard has a few advantages over the OSHA format, the primary one being that it's in the same 16-header format that is used in most other countries, meaning there is less formatting to modify when doing business internationally. In most cases, however, the SDS needs to be adapted to the EU standard so that products can be approved and used in European countries, regardless of the formatting being used. When converting your company's SDS into a format suited for business in the European Union, you will need to ensure you are complying to all standards of the EU format, in addition to getting your SDS translated into another language. You can save money and time by converting your original SDS to ensure it is already EU-compliant before beginning the translation. This can simplify things significantly and help to greatly speed up your chemical products' time to market. Translations Services USA uses its own internal guidelines created from the collected experience of translators and formatting specialists from previous, actual projects completed for our clients. Whether you need to convert your SDS for use in Italy, France, Germany, Switzerland or any other European country, Translations Services USA can help. Our clients have included Sunoco, Siemens, and Gerber, among many others. To request a quote or learn more about Translations Services USA's SDS translation and OSHA/ANSI conversion services, please contact us using our get quote request form.